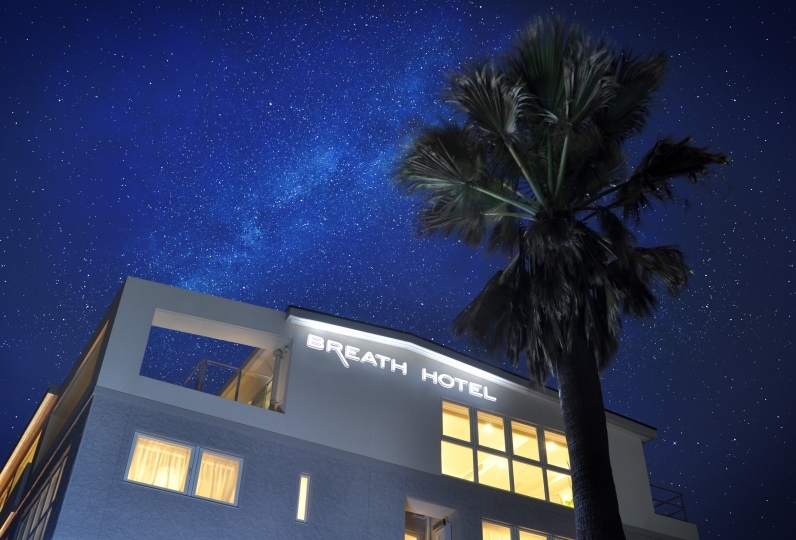 The host which created the 3 facilities, "Blue Lagoon", "Pine Tree" and "Leaf" which was built under the concept, "an extraordinary time and space" in Kamakura, now offers "Kohaku-AMBER", an old vacation house which is of a luxurious Japanese modern space blending the old and new. 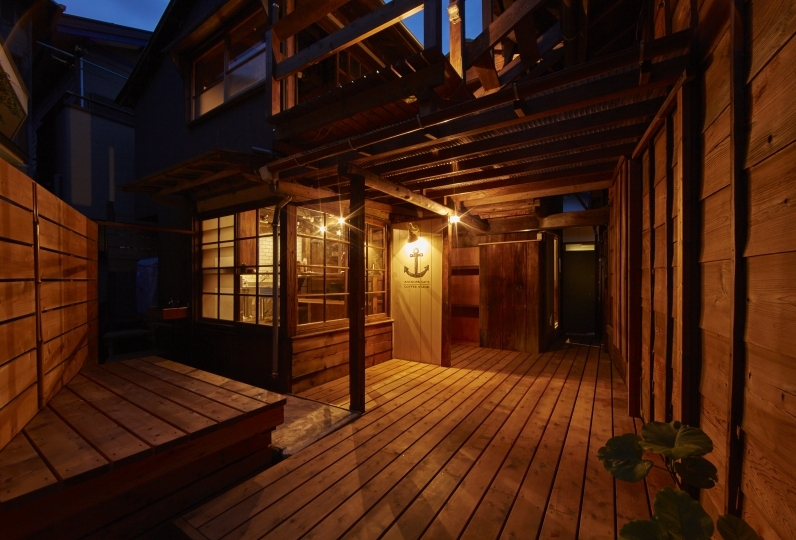 It is made from an 100 year old house which quietly watched over the history of Kamakura Zaimokuza and is given a new life. 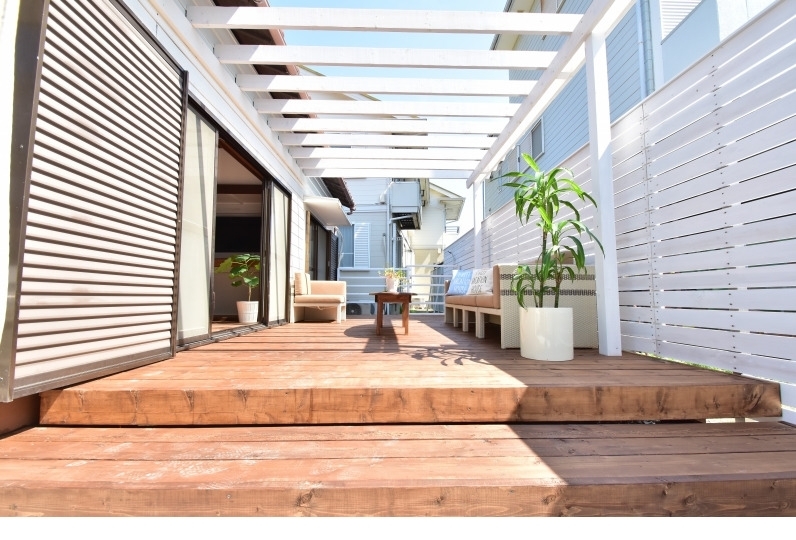 It has easy access to many areas and is 8 minutes by bus from Kamakura station. It is 30 seconds to the bus stop. It is located in a great area where the Zaimokuza beach spreads in front of your eyes. You may use the free parking area (capacity of 1 car) if you are coming by car. When you open the front door, an unfloored space will spread, and in the frontage there is a kitchen in which you may cook. There is a bathroom with a big jacuzzi and a washroom in the interior. The room is a spacious one room of 30 tatami mats and up to 10 people may use. Please enjoy a "Kohaku time" such as going to famous spots or little-known places of the elegant ancient town Kamakura, or participating in events or eating out at local restaurants, or just relaxing in the room or at the beach. 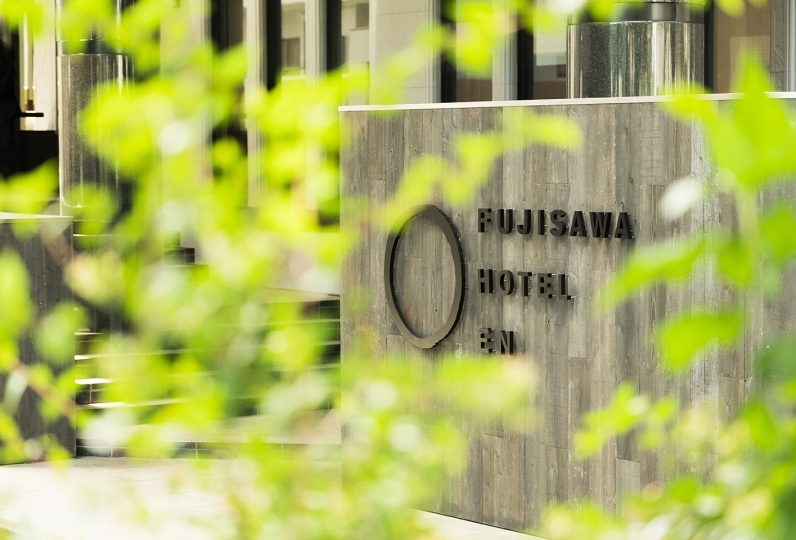 We cooperate with "Ebisu-ya" the tourism jinrikisha (rickshaw), and you may use with 10% discount. Why not experience a special moment by riding the jinrikisha welcoming you at the entrance on the very day? Thank you for taking care of me. I could spend very comfortably and the sea was a really nice place in front of me. The shop next door was also very delicious. I also want to go there again. There is a shower room facilitated in each room. There is a also a bathroom with a big jacuzzi. 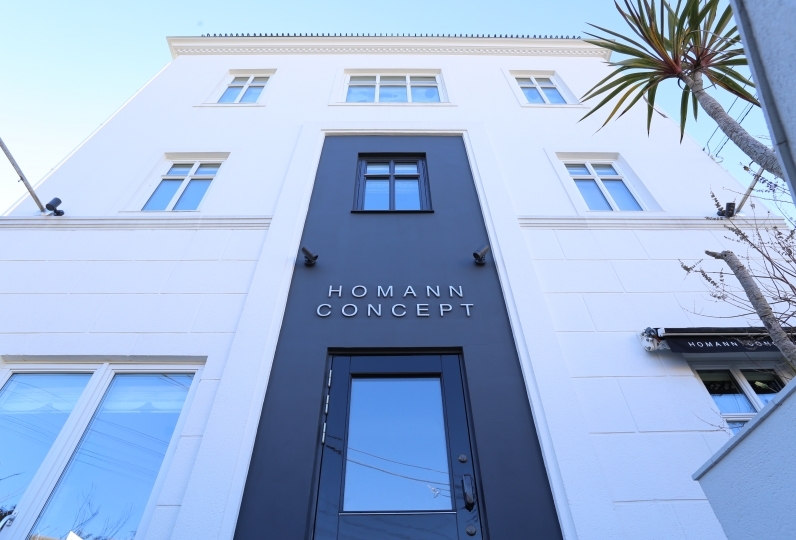 The restaurant next to the hotel is planned to open. ※A maximum of up to 10 people may stay. For bookings of 7 people or more, please consult the Relux concierge. The whole house is fully renovated into a Japanese modern taste. It is non-smoking in all areas inside the house. Please do not use fire. Entrance of pets or people other than the guests whom stay is not allowed. Making noise during the night or behaviors which will disturb the neighborhood is prohibited. In some cases you may be asked to leave.